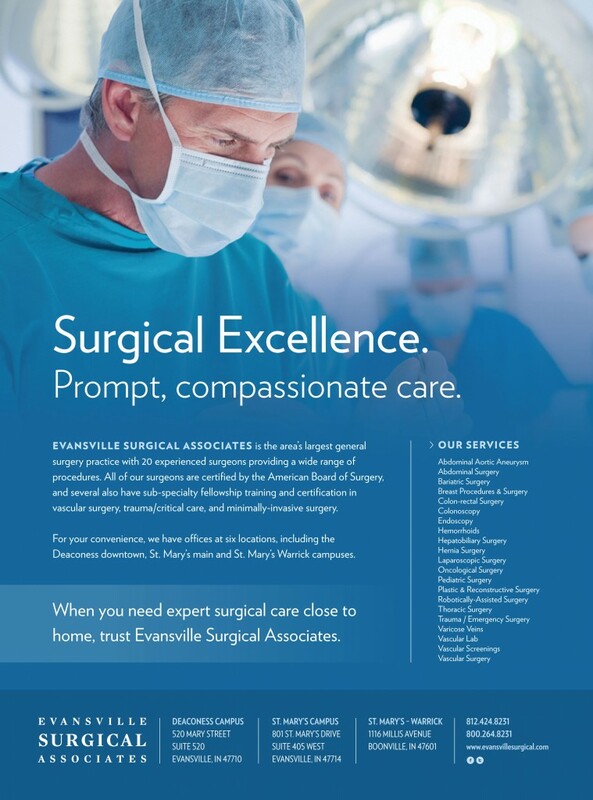 Excuse the pun, but Evansville Surgical Associates is an impressive operation. With 21 surgeons, they’re the oldest and largest general surgery practice in the region. 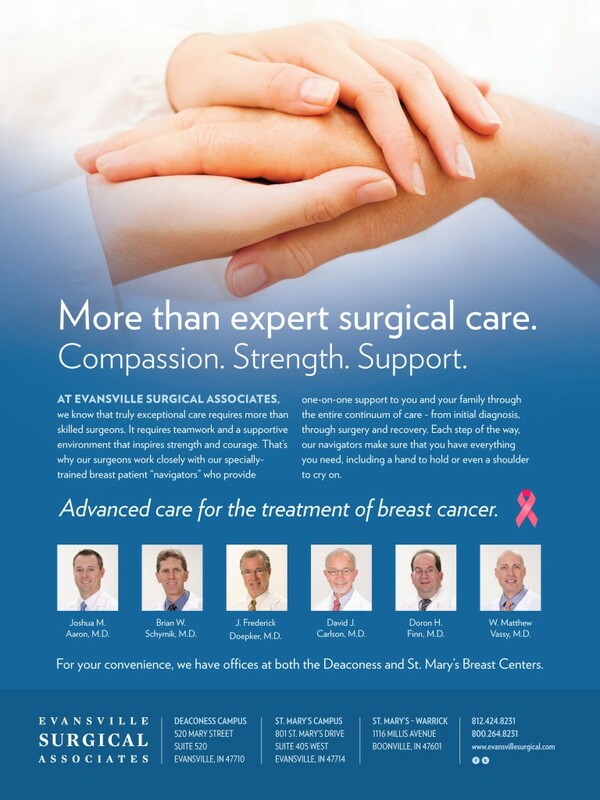 They’re all certified by the American Board of Surgery, and a number of surgeons also have subspecialty training and certification in Vascular Surgery, Trauma/Critical Care, Plastic and Cosmetic Surgery, and Minimally Invasive Surgery. Their surgeons direct and staff the Trauma Centers at St. Mary’s Medical Center and Deaconess Hospital, providing care for over 3,000 trauma patients a year. 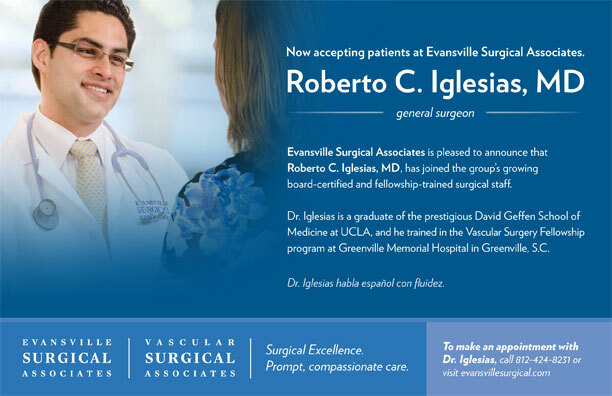 They perform surgery at all the hospitals and surgery centers in the area, so chances are that if you had surgery that didn’t directly involve your heart, brain or bones, an Evansville Surgical Associates surgeon held the scalpel. Their staff of nearly 100 includes experienced surgical nurse practitioners, acute care and vascular nurse practitioners, as well as registered vascular technologists and enough insurance, scheduling and phone support staff to keep the place humming. And until recently, few people seemed to know who they were or what they did. 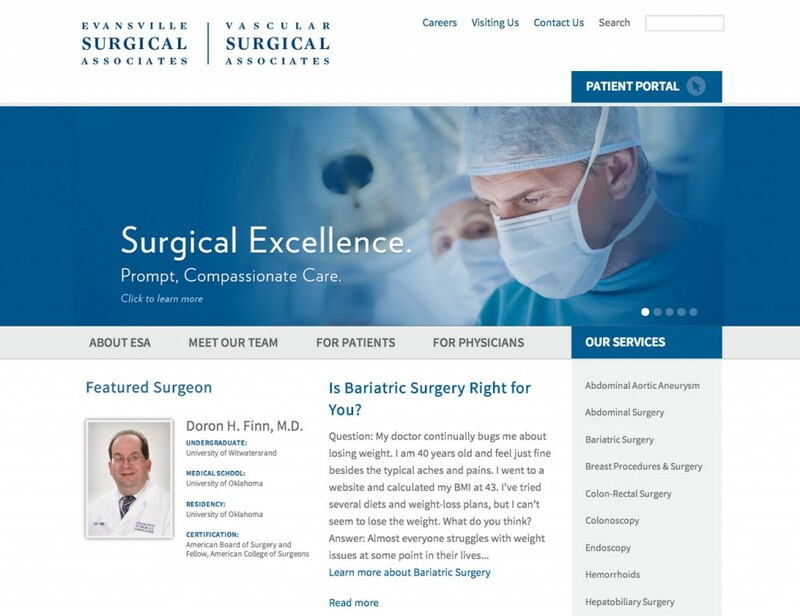 That’s why in the spring of 2013, Jim Butterfield, the new CEO of Evansville Surgical Associates asked us to help them define their brand and position the practice with focus and consistency. Surgical Excellence. Prompt, compassionate care. Working with designer Rachel Wambach, we developed a comprehensive branding strategy encompassing online, outdoor, print and direct mail to create brand awareness and firmly define their promise to patients, referring physicians and the general public.